Ever had a feeling of fullness in your ears, similar to having waterlogged ears after coming out of the swimming pool? This common phenomenon, known as Eustachian Tube Dysfunction, affects many people around the world. However, it should not be taken lightly. If left untreated, it may cause other serious conditions that require more aggressive treatment options. The Eustachian tube is a small tube which connects the middle ear to the upper throat/ back of the nose. This tube normally stays closed unless you yawn, swallow or chew. These actions allow air in and mucus out of the middle ear. Because the middle ear is usually filled with air, the function of the Eustachian tube is to balance air pressure on both sides of the eardrum and drain out mucus. This helps the eardrum to vibrate as required for you to hear properly. 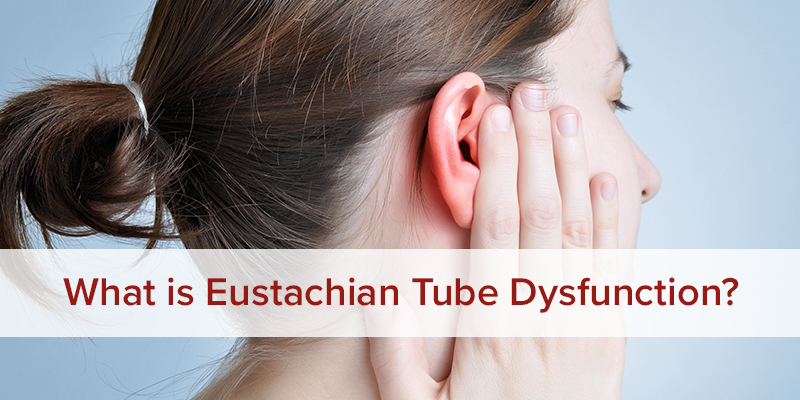 Sometimes the Eustachian tube gets blocked, which disrupts normal eardrum function This creates what is known as Eustachian Tube Dysfunction (ETD). ETD causes difficulty in hearing, pain, and a full sensation in the ears. Mild ETD may be left to cure over time. However, to ease the discomfort caused by ETD, some simple home remedies can treat it. In case it reoccurs, you will need to consult your doctor. As earlier mentioned, ETD is caused by a blockage or inflammation of the Eustachian Tubes. Common cold, sinusitis, or infections in the ear and throat – These conditions are characterized by an excessive formation of mucus which further blocks the Eustachian tube. Infections are the major causes of inflammation along these tubes. Allergies – Allergies that affect the nose lead to more mucus being produced. This also blocks the Eustachian tube. Altitude changes – This is common for people who fly in planes. When a plane descends, there tends to be more pressure nearer to the ground that affects the eardrums, causing pain. Usually, a simple chewing or yawning motion will balance the pressure and resolve ETD. Altitude changes also occur hiking or riding on an elevator. Glue Ear – Glue ear, also known as otitis media with effusion (OME), is normally associated with dulled hearing, a condition that is common among children. This is caused by a build-up of a glue-like fluid in the middle ear. Glue ear prevents air from flowing into the middle ear. However, it will clear on its own given some time. Enlarged Adenoids – These and other blockages are other known causes of ETD. On normal occasions, ETD will clear on its own with time. However, after cases of allergies, colds, or sinusitis, these symptoms may go for an entire week because it takes longer for mucus or inflammation to clear. In case of severe ETD or recurring episodes, you will need to see a doctor for professional intervention.